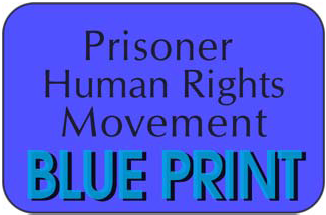 Prisoner Hunger Strike Grows to Nearly 12,000! 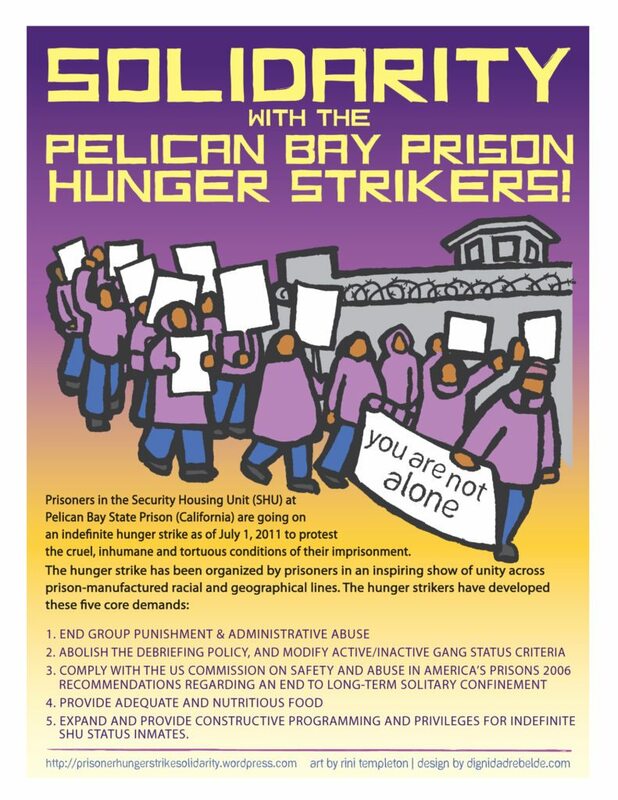 Numbers released by the federal receiver’s office show that on September 28th, nearly 12,000 prisoners were on hunger strike, including California prisoners who are housed in out of state prisons in Arizona, Mississippi and Oklahoma. This historic and unprecedented number shows the strength and resolve of the prisoners to win their 5 core demands and is a serious challenge to the power of the California prison system and to the Prison Industrial Complex in general. Prisoners are currently on strike in Pelican Bay State Prison, Calipatria, Centinela, Corcoran, Ironwood State Prison, Kern Valley State Prison, North Kern State Prison, and Salinas Valley State Prison. Throughout the last week prisoners at California Rehabilitation Center in Norco, Pleasant Valley State Prison, San Quentin as well as West Valley Detention Center in San Bernadino County were participating. The receiver’s office and the CDCR begin monitoring prisoners who have refused food for 72 hours or for 9 consecutive meals. Representatives of the hunger strikers have previously stated that this will be a rolling strike, allowing prisoners to come off strike to regain strength. Because of this, numbers will likely fluctuate throughout the duration of the strike. Watch a short video about solitaritary confinement produced by the American Friends Service Committee. ← CDCR Bans Lawyers: TAKE ACTION NOW! I have personal knowledge that inmates at “Central Detention Center” in San Bernardino are striking as well as those at West Valley Detention Center. Both are San Bernardino County jails. Some of us lack a broadband connection. Viewing video on a 33.6kbps connection is not possible. The article mentions five core demands. It does not identify those demands. What are the five core demands? My prayes go out to all the inmates on hunger strike. May God Bless all of the and they are not asking for nothing else but the rights that they DESERVE! My husband said, in a postcard, that the Inspector General was at PBSP on 9/28/11. This is good, in my view, because the CDCR did not follow medical protocol in the initial strike. Hopefully our men and women in this struggle are being monitored. In the last strike several had heart attacks, a fact hidden by the CDCR. This is great news. Buffalo activists including Karima Amin of Prisoners Are People Too, and two former New York Lifers have (re) joined the solidarity chain-fast, each doing at least one day a week with more people signing on every day, stand with the strikers in spirit (and body!) and hope the strike spreads to all the states. The low-grade torture that exists in most American prisons, and intensified in the SHU’s around the country, must be brought to light. Stand strong, you’re making history in the fight against dehumanizing conditions. Thank you for waking people up! For peace and justice. Karima, Nate, Rev, Pierce, Lesley, Jerry, Chuck, and Anon, from Buffalo, NY, 32 miles west of Attica. The rolliing hunger strike tactic is outstanding. The bravest of the brave and the most determined prisoners must not be allowed to sacrifice their lives at the onset of a long struggle ahead. Such dedicated ones must survive to lead by example. This will erupt all over California, the United States, and eventually world-wide if enough of us outside carry this on. Fast at least one day a week like the Buffalo group. For prisoners unable or unwilling to fast, urge them to withhold thier prison labor in solidarity. If no one works, nothing gets done, whether inside or outside, and things just stop. Viva La Huelga. I am amazed at what a simple determination can do to make people listen. God speed to the protestors and I hope more inmates will join so that this will be over sooner and the authorities will give in. The prisoners at Pelican Bay are being forbidden legal access (attorneys have been banned from entry and legal mail is being confiscated)… is this happening at the other prisons? I’ll continue to call the CA Gov…and my prayers are with you all. It frustrates me that it has come to this to get the attention of the masses but it is creating awareness and that is a step in the right direction. The California Dept. of Corrections has a long way to go in the ethical treatment of all it’s prisioners. Medical conditions are appaling and nutritional food simply does not exist in the entire system. The SHU treatment spotlighted in this strike is the exact same treatment all SHU inmates recieve in other prisons as well, I was an inmate at the Central California Women’s Facility for many years and have first hand knowledge of these facts.I would like to see the people demand a higher standard for the treatment of all inmates and a much higher standard for the requirements to become a prison guard.